Gold has been going strong since the mark of 2019. As we completed a quarter of the current year, gold continues to show the same sentiments as the second quarter began. Gold prices rose to a more-than-one-week peak on Monday as the dollar slipped after data showed U.S. wage growth slowed last month, while investors awaited minutes of the U.S. Federal Reserve’s March meeting later this week. Spot gold gained 0.4 percent to $1,296.87 per ounce by 0746 GMT, after touching its highest since March 29 at $1,297.86 earlier in the week. Data– Soft data coming in from the US strengthened the yellow metal. Though the non-farm payrolls data was better than expected, the manufacturing jobs fell which is a bad signal for the sector and doesn’t show a very bright picture of the economic outlook. Marginally better Purchasing Managers’ Index (PMI) reading out of China over the weekend, along with the never-ending optimism about a trade deal, were touted as the reasons. Cyclical outperformed and the yield curve steepened, suggesting that recession fears sparked by the prior week’s inversion were overblown. A slightly better PMI in the US added to this better mood. Contrasting with the stronger soft data were weak retail sales in the US and evidence that inventory continues to build in the channel. Auto and home sales also remain fairly weak. Friday’s labor report was definitely good news and much better than last month. However, some of the leading data from that report, like temporary hiring, continued to soften and bear watching. DOLLAR- The dollar was down 0.1 percent against key rivals as U.S. Treasury yields extended their decline after the U.S. jobs report signaled a slowdown in wage growth even as employment accelerated from a 17-month low in March. The dollar was also weighed down by softening bond yields. The greenback was 0.3 percent lower at 111.385 yen after briefly popping up to a three-week high of 111.825 on Friday following the U.S. jobs report. RUSSIAN GOLD RESERVES- , the world’s isn’t sitting on its hands, as governments worldwide added a whopping 651.5 tons of bullion in 2018, the second-highest total on record, according to the World Gold Council, and nobody more so than Russia which quadrupled its reserves within the span of a decade amid President Vladimir Putin’s quest to break the country’s reliance on the U.S. dollar. 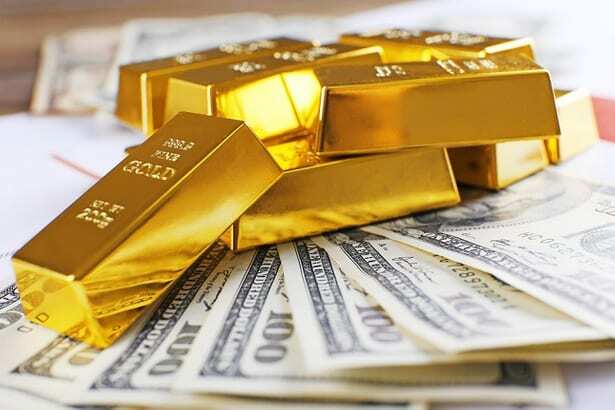 The one country that has decided it will no longer be part of the USD monetary sphere of influence is Russia, which has been dumping dollars and buying gold at the fastest pace in decades. Summing up the previous week and why gold rose or dollar fell, we can say- Disappointing European manufacturing data in combination with a more “dovish” Fed led the 10-year treasury yield to fall the most in two years and U.S. investment grade bonds to rise the most in four years. The Federal Reserve left interest rates unchanged, while signalling no rate hikes for the balance of 2019, acknowledging global uncertainty and muted inflation pressures. Markets responded favourably at first, with both bonds and equities rallying on the news, but the markets gave back these gains as the focus turned to what the Fed’s pause might mean about the underlying health of the economy. The Fed will likely continue to be a key driver of equity markets as officials negotiate the balance between rates, inflation and a healthy but slower-growing economy.